Nissan Juke Performance, Engine, Ride, Handling | What Car? The Nissan Juke comes with a wide variety of petrol engines but only one diesel. The entry-level 1.6-litre petrol is fine around town but has to be worked very hard on the motorway. A more powerful version is offered, but it’s only available with Nissan’s Xtronic CVT automatic gearbox, which doesn't suit it. We’d recommend the 1.2-litre turbo petrol, instead. It’s badged DIG-T 115 and its extra power and torque make it easier and more relaxing to drive. More powerful DIG-T 190 and DIG-T 218 versions are available, the latter in the sporty Nismo model, but they’re a bit too punchy for the Juke and can overwhelm the front wheels. The 1.5-litre diesel has a reasonable amount of mid-range power, but can be sluggish. Its saving grace is that its low emissions make it the best choice for company car drivers. 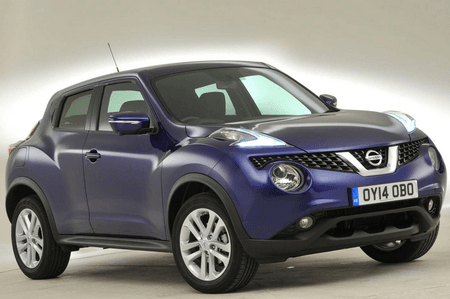 The Juke’s suspension is too firm and jittery. Even though it was tweaked back in 2014 to try and solve this problem, its ride remains fidgety. Even at low speeds, the car jars harshly over sharp-edged bumps and crests and when negotiating speed bumps in town. Hit a bump at higher speeds, and things get very unsettled. Top versions come with larger alloy wheels that exacerbate this problem. Strangely, the sporty Nismo version actually rides a little better than the standard car. It’s firmer but body roll is reduced as a consequence, so you don’t get thrown about as much. 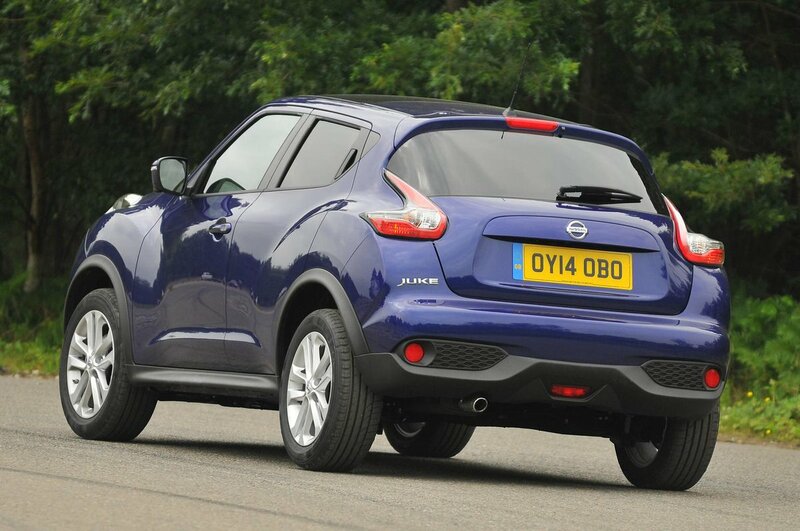 The Juke’s steering is quick to respond around town and helps the car to feel darty and nimble at low speeds. However, it weights up inconsistently as more lock is applied in corners, robbing its driver of confidence. All but entry-level Visia models come with variable steering that has three different settings, but all this really does is add more resistance to the wheel’s movements. The front tyres also wash wide quite easily through faster bends, while the rear of the car doesn’t feel particularly stable during high-speed direction changes – not a desirable quality in a small family car. The high-performance Nismo version is, again, a slightly sharper car to drive with less body lean in corners, but it still lacks the grip to compete with conventional hatchbacks such as the Ford Fiesta. There are quite large differences between the various engines. The diesel is grumbly and fairly intrusive at most speeds, while the short gearing in the entry-level 1.6-litre petrol means high revs and lots of noise on the motorway. The 1.2-litre and 1.6-litre turbo petrols are smoother and quieter, although you’ll have to get used to a bit of turbo noise at low speeds. Road noise is perfectly acceptable as long as you avoid the larger wheels. The manual gearboxes have a tight, narrow gate that can make smooth changes difficult, while the clutch has a fairly heavy action, too. Unless you really need an automatic, we’d avoid the CVT 'box on offer. It’s noisy and doesn’t feel particularly positive, flaring and holding the revs high when you accelerate.